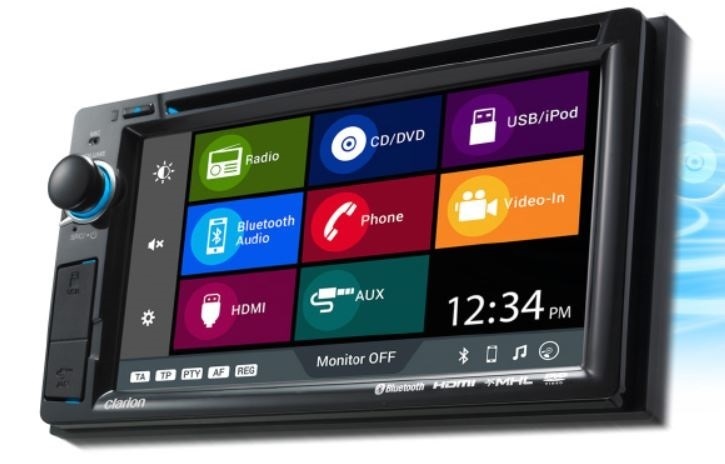 The VX316A is a multimedia unit with a unique user interface across a 6.2” resistive touch screen. 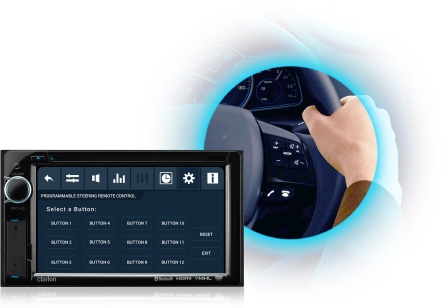 Its split screen layout allows quick and easy access to various features, without compromising the driver’s safety. 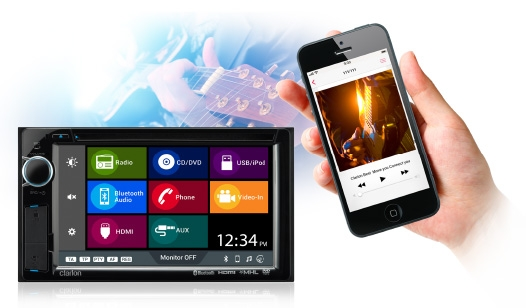 Support for a wide variety of audio formats and video devices makes this a great choice for your in car entertainment solution. The VX316A comes with a built-in HDMI input for smartphone connectivity. Simply connect any smartphone device with MHL support or even your iOS device with the appropriate adapter and you can immediately mirror your screen on the source unit. 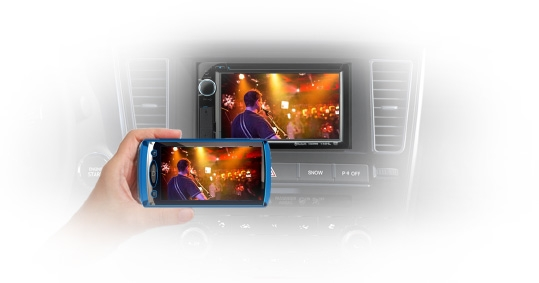 Play videos, music or even run applications on the VX316A easily with this feature. Pictures and videos taken on your smartphone can be enjoyed in your car. Searching via the internet and music/video playback are also possible. Simply connect your smartphone to the source unit and have instant access to your smartphone. Once plugged in, browse music or videos directly on the VX316A and play them instantly, all while your device remains charged. Stream music across your device directly to the VX316A to enjoy your favourite tunes in your car. 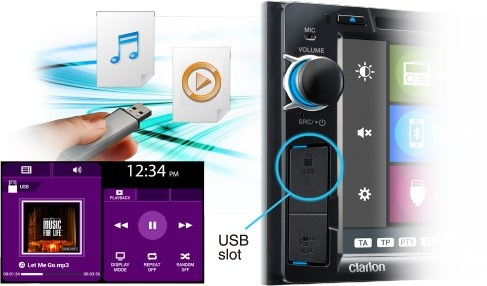 The VX316A supports playback of MP3, WMA and AAC format audio files, as well as Xvid encoded video files stored on your portable storage devices. Plug in your USB media or even your smartphone for a more enjoyable drive. The source unit can also send video to an external rear seat entertainment device. You may own a wide variety of music sources, from the latest digital device to an antiquated analog machine. 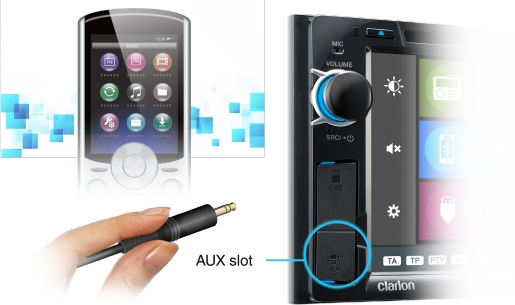 Whichever your preference, as long as it has an AUX output or headphone jack, you can easily attach it to the source unit’s front panel AUX input, to continue enjoying your favorite music source. 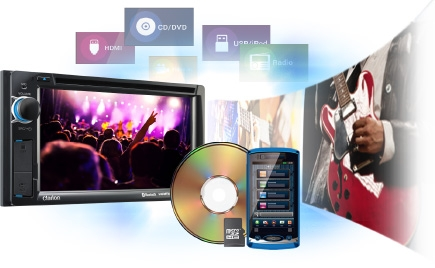 You can create your own custom entertainment on your home PC using video files recorded from a camcorder or smartphone, then burn it to DVD-R disc for playback in your car. The source unit supports playback of DVD and CD from including home-burned MP4/AVI DVDs and MP3/WMA CDs in addition to store-bought titles. Make your drive more fun in your own unique way. Enjoy superior control over the audio spectrum with frequency adjustments in the 60Hz to 16kHz range. This gives you the power to get the most of your sound system and contour the sound output for a more fulfilling listening experience. Together with 7 EQ presets and 2 customs presets, the VX316A also has a low and high pass filter control. With the growing demand for digital TV, the VX316A comes ready to support external DVB-T2 boxes commercially available in the market. Enjoy digital TV channels straight from the VX316A. Once plugged into the source unit, you can directly change stations and access your device’s settings, all straight from the touch screen itself.